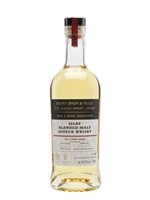 The Berry Bros Classic Range is focused on showing the core flavours of regions and styles, and this Islay blended malt takes no prisoners – it's Islay through and through. From its punchily smoke nose to it's peaty palate, it's just what you want from a peated Islay dram. Kuchh Nai – Where can you buy a bottle?